I may have mentioned this before, but it was always a small regret of mine that I never had access to the PC library during the mid to late 90’s. While I was content in my Mario and Zelda, other kids were playing things like King’s Quest, and Doom. 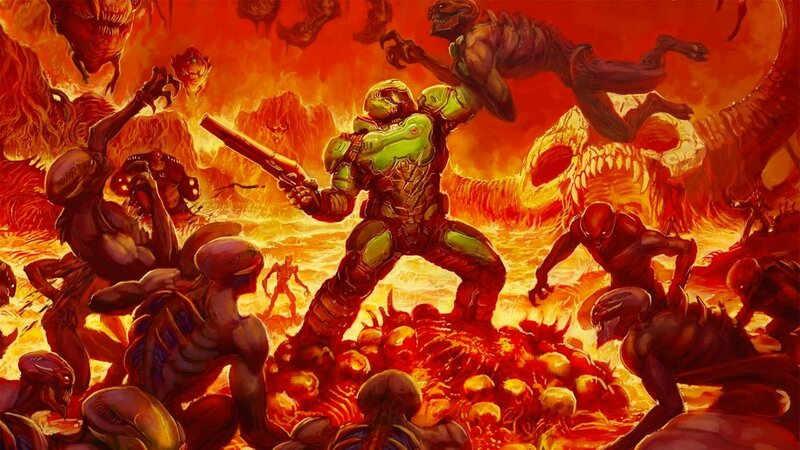 I only ever spent a few hours with Doom when it released on the Super Nintendo, and it wasn’t until I was an angst-ridden 15-year-old that I actually played a Doom (which was the perfect age to unironically appreciate it being a lot more serious than it needed to be). I doubt 15-year-old me would’ve enjoyed the new Doom. 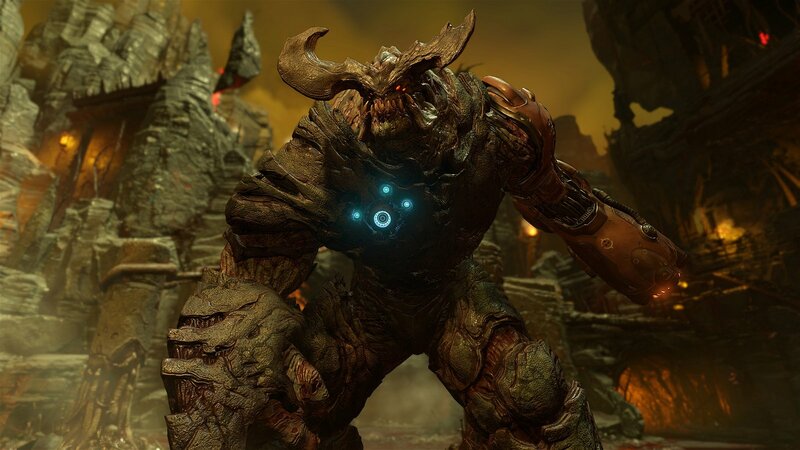 Luckily, present me is old enough to appreciate genuine fun and he loves the new Doom; a fast paced, high octane action game that keeps you on the edge of your seat and leaves you physically exhausted afterwards. And it works in a title like this. It’s a big, goofy action game, it knows what it is, and it does that best. 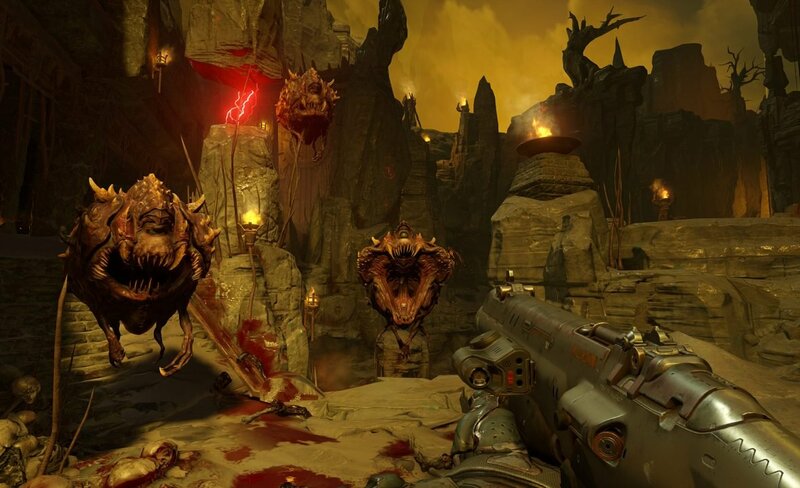 The gameplay in Doom is phenomenal. I can’t remember a time when I had this much fun with a shooter. Much like its MS-DOS predecessor, in the campaign, the player fights their way through room after room of demons with all the familiar faces abound and given incredible updated looks. 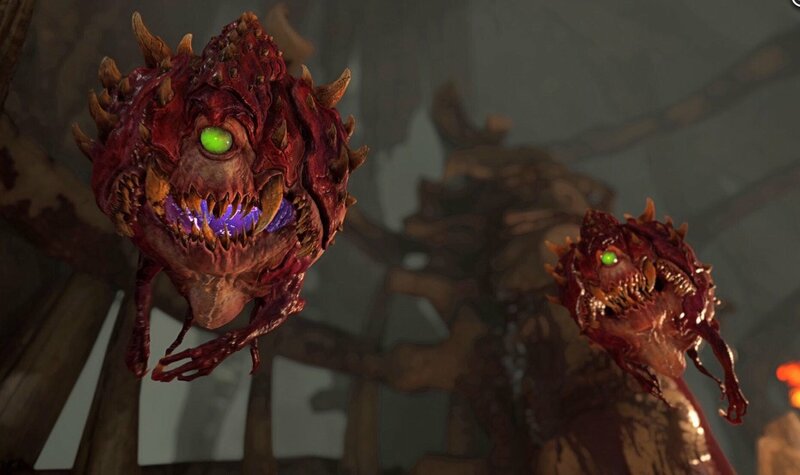 The cacodemon being my personal favourite, maintaining a look reminiscent of the original, yet vividly realistic. Controls are tight and lend itself well to the fast-paced nature of the combat. Worth mentioning is the sheer brutality of combat. Outside of the face-smashing, and punching-off of heads, the game can be incredibly punishing, and if you’re not careful or paying attention, you can wind up dead. Luckily, this is countered by an abundance of small health packs and shields, which I felt kept the game balanced and seeing so many health, shield and ammo pick-ups scattered around the battlefield reminded me of shooters from a bygone era and it filled me with joy. Naturally, there is a vast selection of guns, and fan favourites like the BFG, Chainsaw, and the Super Shotgun are all on hand. If I have any complaints it’s that the controls are a little too fast, which can make things feel kind of slippery at times, but this is a nitpick at worst. The multiplayer is equally enjoyable and immensely satisfying in that nostalgic kind of way. While you’re restricted to only two weapons, which can be changed through customizable loadouts, combat plays reminiscent to Quake or even Goldeneye making it really fun in that old, couch-multi kind of way. Health, shields and ammo (as well as additional power-ups) are littered around the battlefield and the scales always feel balanced. One extra game changing element is the Demon Rune drops, which occasionally appear throughout the fight. Whoever gets the Rune temporarily transforms into a demon, reigning unholy havoc on the opposing team. If that player is killed however, another player can pick up the ruin to gain what power it has left. Aside from the standard modes like Team Deathmatch, and Capture the Zone, there are a couple of interesting ones like Soul Harvest, where players pick up and drop Soul points upon kills and deaths respectively. Whoever picks up more souls faster wins the game. Or Freeze Tag, where upon death players are frozen in place, unable to respawn. Teammates can stand near their frozen brethren to thaw them out, and game’s become a tense game of cooperation and coordination. Finally, there’s the SnapMap mode, which is a level editor. Players can create custom maps for single or co-op missions, and multiplayer deathmatches. It’s a fairly deep and complex system, with an extensive amount of options allowing players to add a lot of detail to their levels. However, it suffers from being a bit awkward to control as well as the lack of a simple tutorial. If SnapMap had a more hands-on understanding of it’s mechanics, it would’ve been much better. 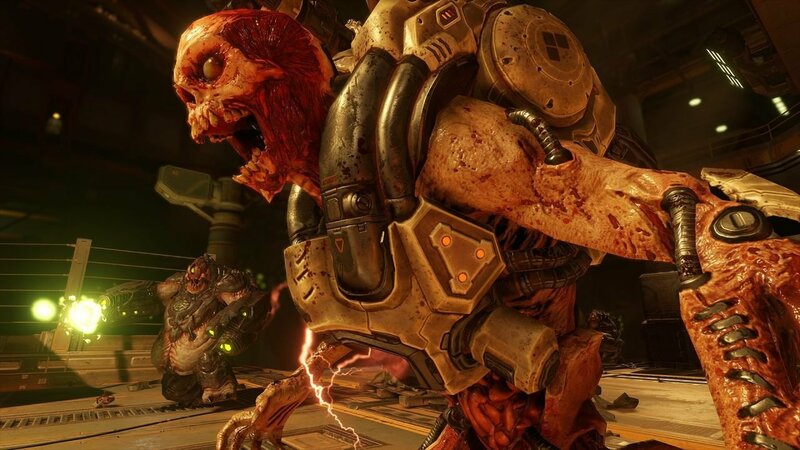 Doom isn’t a flawless execution, and my biggest problem with it actually lies in it’s music. It’s a lot of D&B and grungy guitar that, combined with the intensity of the combat, creates an atmosphere that is more serious than it needs to be. That same intensity is what makes the game so fun, so it’s strange that it doesn’t commit to being fun 100 per cent and use a soundtrack that’s more high-energy and filled with guitar solos. As an experiment I tried playing with the original At Doom’s Gate theme playing, and it made the game immensely more fun to play. And of course, there are a few minor glitches which caused enemies to disappear into the aether after a melee kill, and a few gunfights that took place without music. 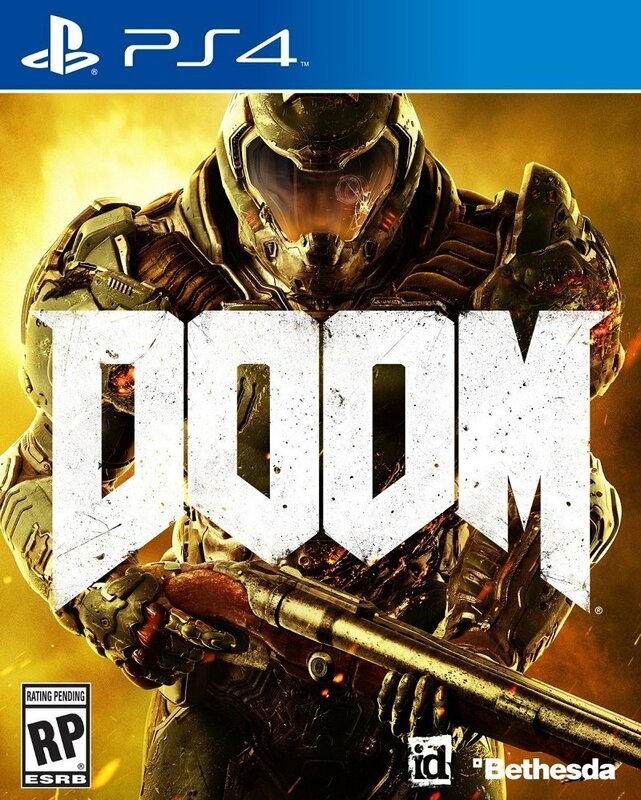 However, these are only a few isolated incidents and for the most part Doom runs incredibly well. Overall, Doom reminded me that games used to just be fun. It’s a polished and incredibly enjoyable game that blends old-school sensibilities with new-school quality. I appreciate a steak, but every now and again, all I want is a delicious, greasy burger. Doom is that burger. 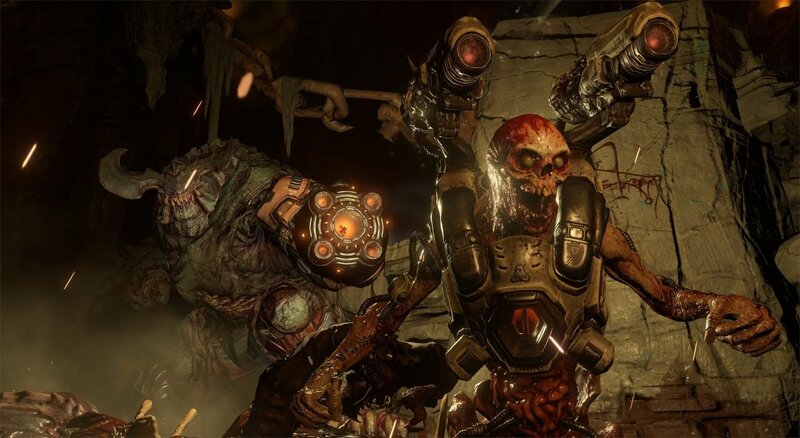 Doom captures the feeling of nostalgic fun without being cynical. Brutal, intense and incredibly fun.